Although I continue to be surprised at some of the books that are challenged and the reasons why, I am happy to report fewer books were banned last school year. In many cases, those that were banned or restricted were in elementary school libraries where their content was considered too mature for younger children. The books weren’t denied to older students. Some schools indicated they “restricted” these books from the elementary schools, either moving to a higher grade level or restricting only for the child whose parents protested its use. Some chose to ban the challenged books all together. Let’s take a look at two comics series of note that made the lists of banned and restricted books: Sidekicks and Bone. Note: Moved up to junior high school, where more copies of the series are needed; book not banned from district. It is interesting to note that Scholastic, the publisher of the color editions of the Bone and Sidekicks, lists both series as appropriate for ages 8 to 12. In removing the books from the elementary school library through an outright ban and restriction, school authorities were removing the books from the access of the intended audience. 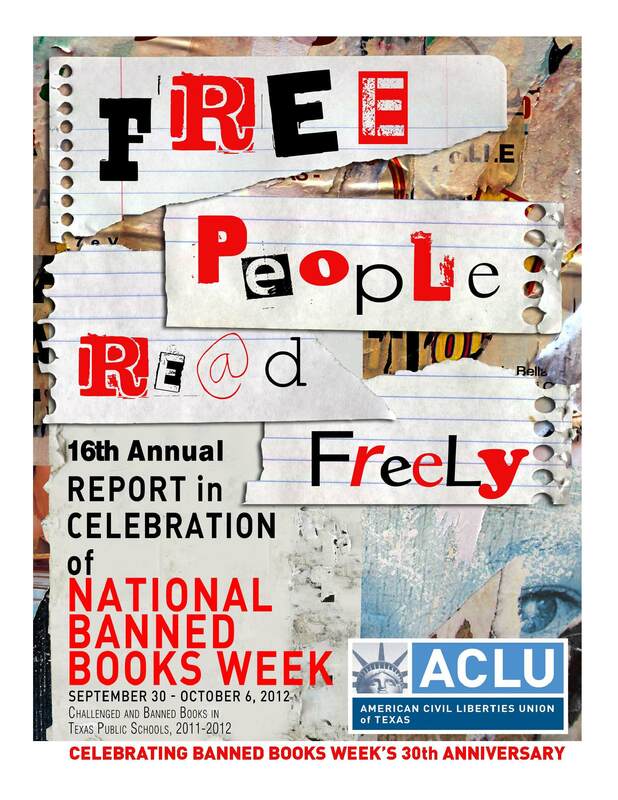 The ACLU of Texas describes each book that faced challenge in schools in their report, providing an illuminating look at the books that were challenged and why they were retained, restricted, or banned. The report also features an interview with Tony Diaz, who is the founder of Nuestra Palabra: Latino Writers Having Their Say and Librotraficantes, the organization that is “trafficking” banned books from the defunct Mexican American Studies Program into Arizona schools. You can download a copy of the complete report here. Given their visual nature, graphic novels and comic books are among the most-challenged books in libraries and schools. 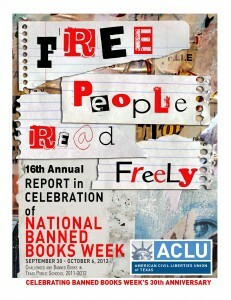 CBLDF is an official sponsor of Banned Books Week, which takes place September 30 – October 6, 2012. Please help support CBLDF’s defense of your right to read by making a donation or becoming a member of the CBLDF!